For a modern (as in, the model is still in use today) EVA suit in normal condition, undamaged, etc. If there is a wide variation in leak rates for different suit versions, national designs, etc. that would all be interesting detail for an answer. I have just now received an answer to my FOIA request from NASA requesting documents on the current generation space suits. One of the documents of interest was the Extravehicular Mobility Unit Systems Training Workbook (click here to download - 52 MB), it contains a ton of information on the current generation space suits. 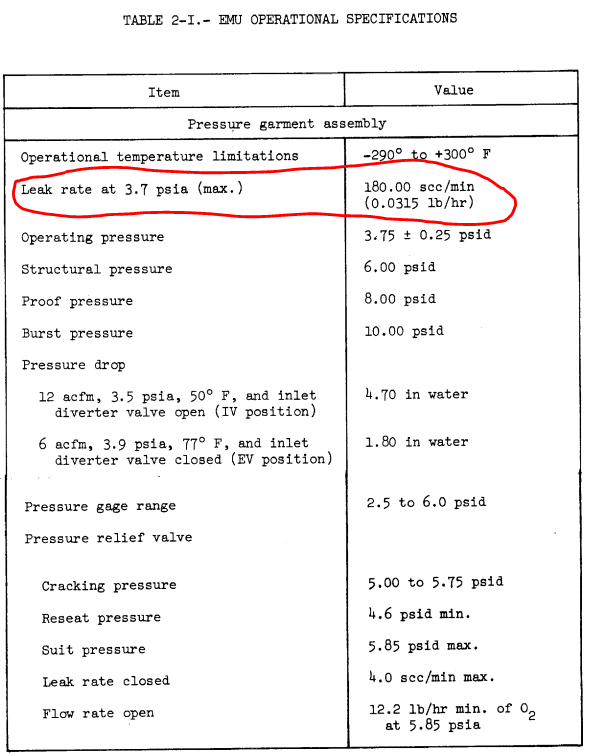 If you look on page 131, it states that the automated leak check fails if the suit is loosing more than $0.3\ psi/min$, with a nominal suit pressure of $4.3 \pm0.1\ psid$. Unfortunately, the suit volume is not in this document so the mass flow cannot be determined. 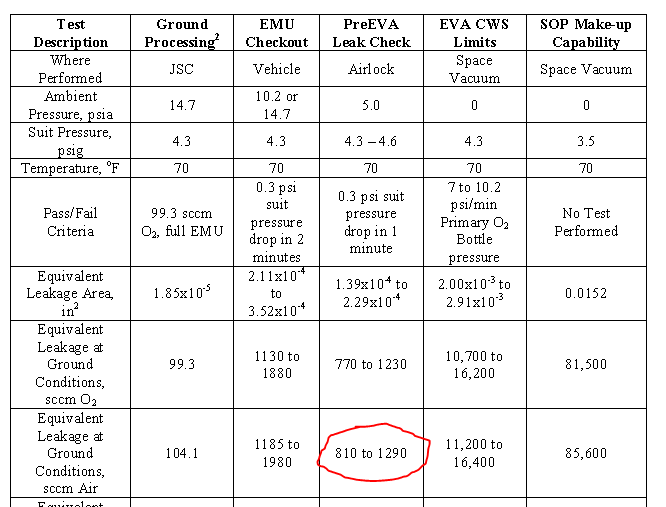 The "Apollo Operations Handbook Extravehicular Mobility Unit" (click here to download - 4.4 MB), Revision 5, Table 2-I quotes the Maximum leak rate at 180 cubic centimeters per minute. The Extravehicular Mobility Unit is the suit used for the Lunar Landings (the linked document contains a wealth of awesome information). 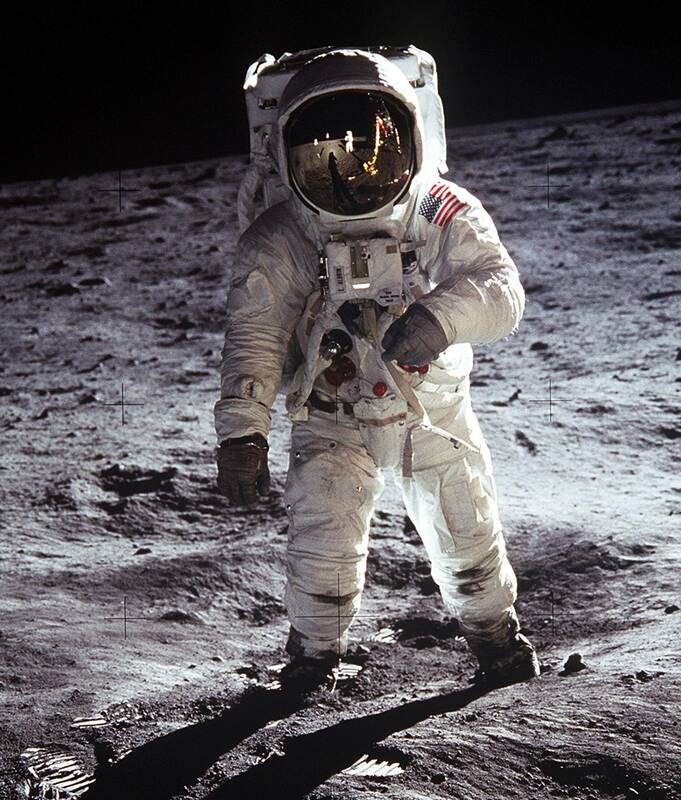 Though the current generation of suits is also called the Extravehicular Mobility Unit and I cannot find out what the relationship between the Apollo era suits and the current generation ones. The only number I can quote you is the requirement for the Apollo suit. 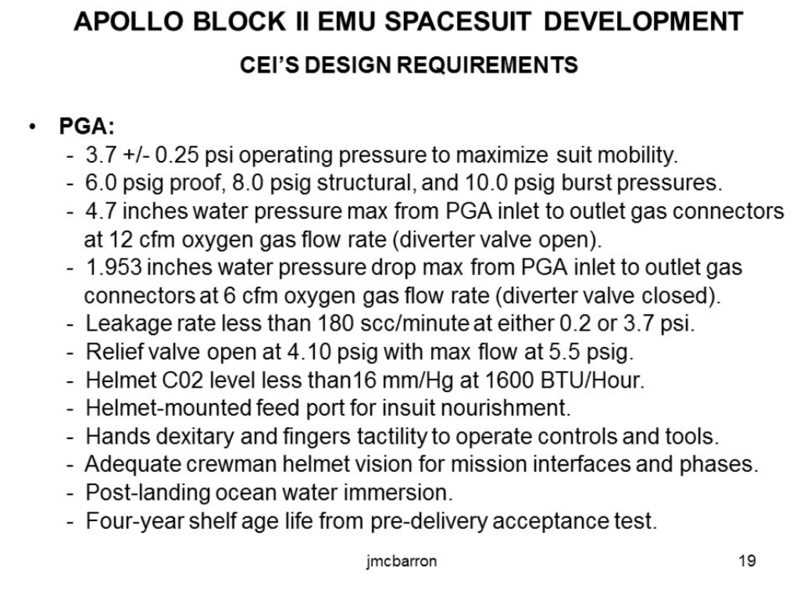 Which was, "less than 180 standard cubic centimeters/minute at either 0.2 or 3.7 psi"
This is from the "Early Apollo Spacesuit Development, A-7L Suit Requirements, and Design Details" presentation, which you can find on the Spacesuit Knowledge Capture page, which is an incredible trove of knowledge for those willing to sit through it.